For precious alloys and amalgam. Use Brownies to achieve a smooth surface. Use Greenies for a lustrous polish. 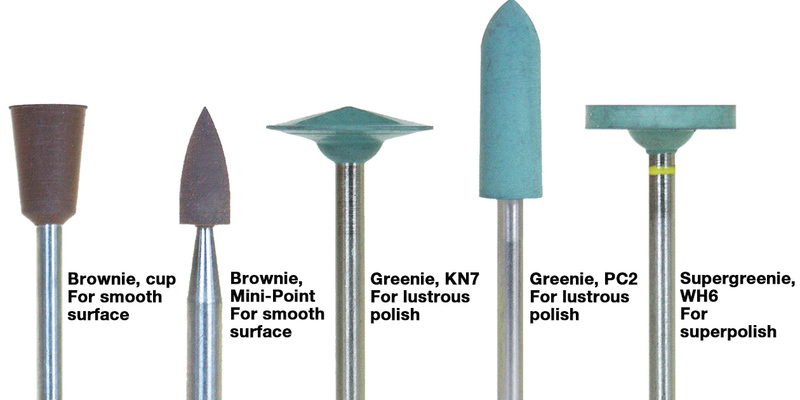 Use Supergreenies (yellow-band on shank) for superpolish.